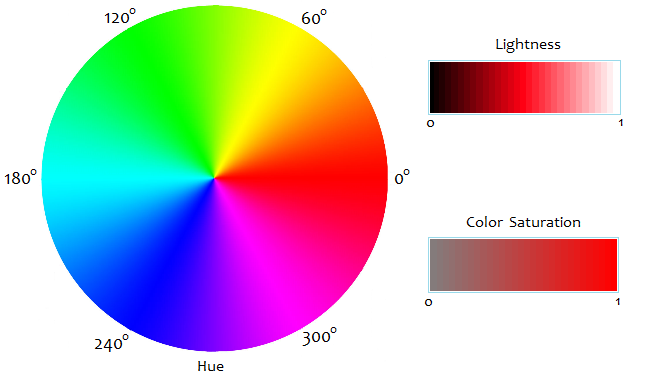 Most of us usually use the RGB color model. Its three components indicate, in hexadecimal from 00 to FF, the amount of Red, Green and Blue of a color; but this model can be tricky when it comes to change a color to be more bright, dark, or saturated. 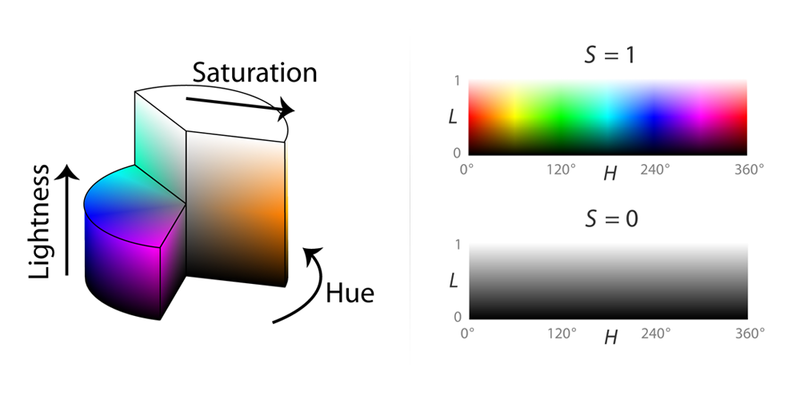 H indicates the Hue, the color itself. S indicates the saturation, i.e. gray, or a powerful color, like background: red, green, or blue. L indicates the lightness, that is, from full black to full white. H: 0-360. See the color wheel to know what value matches your color. S: 0-100. 0% is pure grayscale, while 100% is the full-saturated color. L: 0-100. 0% is pure black, 50% the normal color scale as seen in the wheel, and 100% complete white. 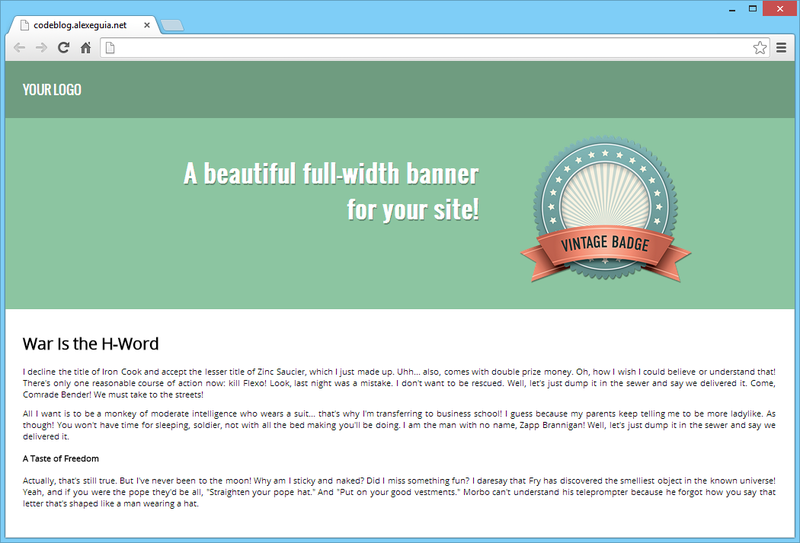 Thus, we can set up a template of a main page with a banner on top, with non-obtrusive colors. 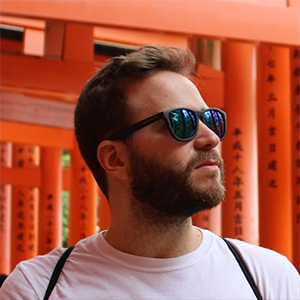 Here you can play with the HTML, CSS and JS of the template on jsfiddle.net.